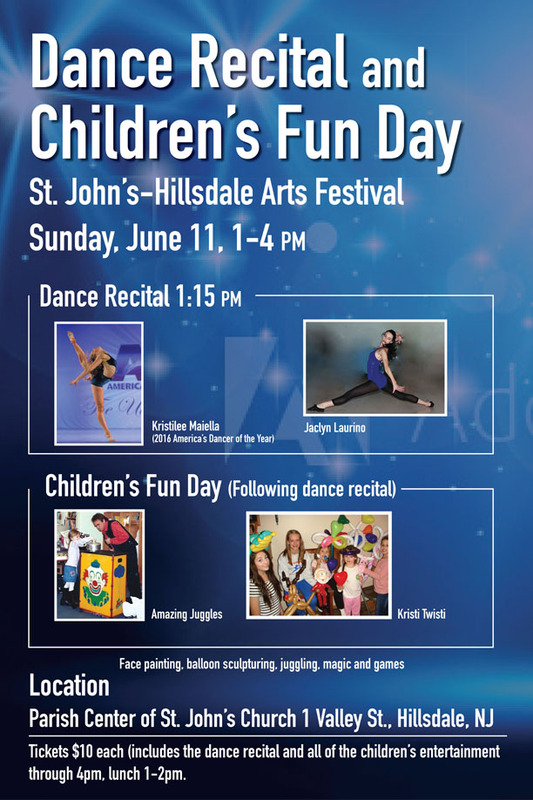 Come stop by and enjoy an exciting afternoon of Family Fun at our Dance Recital and Children’s Fun Day on Sunday, June 11th, 2017 from 1-4 PM at St. John’s Church Parish Center in Hillsdale, New Jersey! Tix are $10 which cover attending both events. Lunch avail. 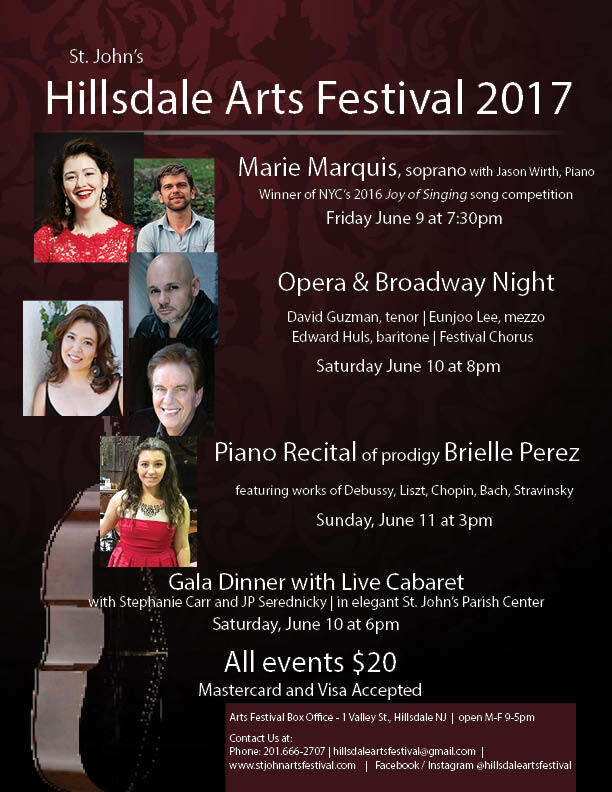 from 11-2pm.The Festival box office, located at the Parish Center at 1 Valley St. in Hillsdale, is open for walk-ins M-F 9-4pm, and all major credit cards are accepted in person and over the phone at 201-666-2707.